According to reports by members of The Federation of Environmental Trade Associations, when office workers are exposed to temperatures of 24 degrees Celsius productivity can fall by as much as 50% and accidents can increase by 30%. Do you have a room or office that is always uncomfortably hot because of the heat and glare of the sun? 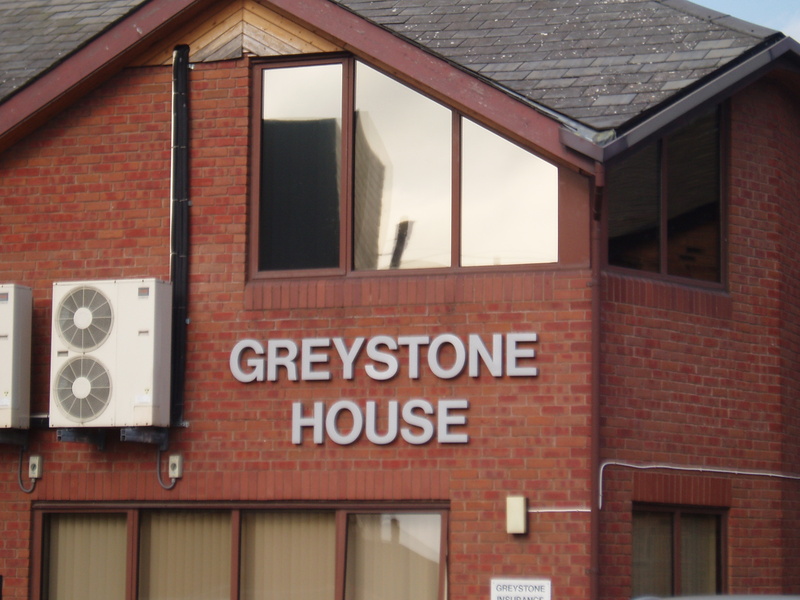 Is your air-conditioning system unable to cope with imbalances of temperature by windows? Fortunately, Ultimate Tinting has the answer - while keeping 100% of your view, our film greatly reduces heat and glare, and helps to eliminate hot-spots. It virtually eliminates fading leaving your product displays, furniture and carpets as new. It also provides privacy and security for you and your staff, greatly improving your working environment. Not only that, it is maintenance free. Bonding firmly to the glass, our films help to hold shattered windows together if broken, protecting you and your staff in the event of attempted burglary or explosion. Is your glass safe? Does it comply with Health and Safety Executive recommendations (Regulation 14)? Our films meet many of the most stringent Government and consumer programme standards, such as CPD, EN12600, EN356, BS AU 209 Part 4A, BS6206 and GSA criteria. If your glass does not have a British Standard Kite Mark, it does not comply with regulations. We can install Safety Film that will ensure that your existing glass complies to British Standard BS6206 Class A or B, for a fraction of the cost of replacing all the glass. This film effectively laminates the glass making it far safer in the event of an accident. It also makes the window far more secure against attempted break in's. Our clear security film also blocks 99% of the damaging UV rays (which cause fading) and therefore, makes it ideal for use in galleries, clothes shops or anywhere where goods are displayed in front of a window. Glare is not only annoying - it can be harmful and tiring on the eyes. Our films can provide from 20-80% reduction of glare and reflection while maintaining a crystal clear, unobscured view. This makes it easier to view computer or TV screens. 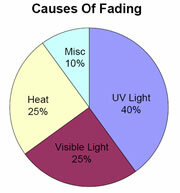 Extended exposure to ultraviolet light and heat can negatively affect carpets and upholstery fabrics. Colours become faded and dull and custom paint and wood finishes are also at risk, along with any artwork or certificates on display. If you have a display window with valuable products or a foyer or office with expensive furniture and carpets, can you afford to keep replacing these items because the colours have faded? Up to a 78% heat reduction can be achieved compared to untreated glass. This will help to reduce the problems of hot-spots. 99% of harmful UV rays are blocked. This will protect your product displays or furniture and carpets against fading. No more annoying glare from direct sunlight or reflections from water, snow or surrounding buildings. Shattering glass is a hazard when accidents happen or when vandalism or environmental effects cause breakage. By applying a window film the glass will be held in place stopping shards entering the room and causing injury. Window tinting provides an increased level of privacy from the prying eyes of burglars or the general public. A smart uniform look improves the appearance of your building. Our professional installation is fast and non-intrusive. There is minimal disruption to work schedules. Our guarantee offers peace of mind. Why Should Your Windows Be Tinted - Some Suggested Applications. Air-conditioning systems won't have to work as hard trying to deal with high fluctuations in room temperature, staff won't argue about the temperature the air-conditioning should be set to, and they won't have to close blinds annoying other staff because they can't see out of the window. Products will gain a longer shelf-life because they are not being faded and degraded because of their exposure to intense sunlight - and 100% of the view is kept! Tinting provides a uniform, sleek look to your building. Anti-graffiti films are available to eliminate expensive glass-etching vandalism or damage to glass in high traffic areas. These films are thick enough to protect glass from most forms of vandalism or accidental damage yet they are clear and virtually invisible when mounted on the outside surface glass or Plexiglass. When a vandal scratches on the window or uses acid etching chemicals to deface the window it won't be permanent. They are actually damaging the film, not the glass. We can then simply replace the film for a fraction of the cost of glass replacement. It will protect any smooth surface whether timber, marble or stainless steel. BET YOU DIDN'T KNOW THIS!!!!! Did you know that ANY glass in pretty much ANY building (other than private residences) that is fitted in the critical locations outlined below *, BY LAW, must display a legible safety marking and if it doesn't it is the occupiers / facilities manager of that building, not the owner, who will get prosecuted. We fit a clear security film, 100 or 200 microns thick depending on the thickness of the glass , and apply the appropriate marking to the glass to bring it up to BSEN12600, for a fraction of the cost of replacing all the glass. This film effectively laminates the glass making it far safer in the event of an accident. It also makes the window far more secure against attempted break in's. . THIS IS LAW, so have a look around you and if you have any doubt, please don't hesitate to give us a call for your FREE survey, you'll be surprised what isn't up to specification. We even have bomb blast protection films and glazing anchoring systems. 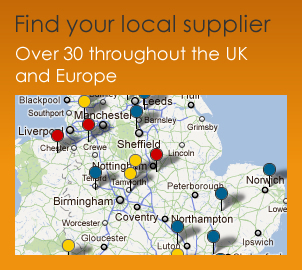 nearest dealer on the "FIND US" page. P.S. Check out the Gallery to see some previous installations or go to Testimonials to read about some of our happy customers.